In spite of my reservations about ENTOMBED's last offering, 2000's Uprising, it's difficult not to have a great deal of respect for the five Swedes that continue to churn out their own brand of death-ish rock'n'roll roughly a decade and a half after their inception. Seemingly oblivious to the outside trends, ENTOMBED have clearly moved on from the pure death metal that characterized their classic Left Hand Path debut and have embraced an altogether more original yet no less uncompromising approach with their later efforts. Like its predecessor, Morning Star is a stripped-down, punkish affair that is short on melody and “songs” (in the conventional sense), but long on big, fat riffs and powerful grooves that are capped off by vocalist L.G. 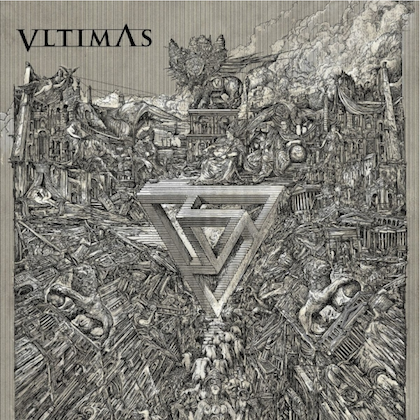 Petrov's largely monotonous growls—all enveloped in a no-frills production that is not quite as raw as that of Uprising, but is a far cry from the gloss that made Same Difference such a disgrace in the eyes of the group's followers. Whether dishing out high-energy cruisers like “Ensemble Of The Restless” (possibly the fastest song the band have ever penned) or the mid-paced stompers like “Out Of Heaven” (with its strangely KING DIAMOND-like main riff), ENTOMBED are clearly sticking to their guns and delivering the kind of stuff that is certain to please the group's longtime fans but is unlikely to significantly expand the band's undeniably limited commercial appeal. 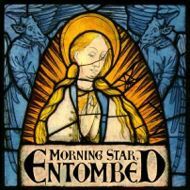 A stronger and more musically varied effort than Uprising, Morning Star is neither ENTOMBED's finest moment nor an indication that the band has run out of fresh, interesting ideas. ENTOMBED may no longer be breaking any new ground, but they're reliably moving forward by doing what they do best—and for the time being, that just may be enough.